Programs for the homeless in Northern Sonoma county. Outreach, First Step Housing, Permanent Supportive Housing, and Rapid Re-Housing. The Reach for Home Program is based on four main pillars: Outreach, First Step Housing, Permanent Supportive Housing, and Rapid Re-Housing. The goal of our programs is for our clients to create a path to find long-term housing, generate income, and build functional life skills. Our Outreach Team builds foundational trust with our clients by visiting them daily. We provide basic food and supplies, and eventually move to transporting individuals and families to medical and mental health appointments so that our clients can improve their overall health and welness. Ultimately, we work to prepare our clients for housing by working with them to gain a source of stable income. This program is for outreach clients who are ready to transition to housing. We accept referals from Sonoma County Coordinated Entry. Our First Step Housing program gives our clients emergency shelter and provides a safe place off the streets. The first step process lasts up to three months as we prepare our clients to enter other programs including Rapid Re-Housing or Permanent Supportive Housing. We provide apartments for individuals and families who are the most vulnerable in our community. We work with a team of providers to empower our clients to build the skills necessary to maintain stable housing. Reach for Home case managers work with our clients to develop financial know-how, build resumes, practice effective parenting, and advance other essential life skills. 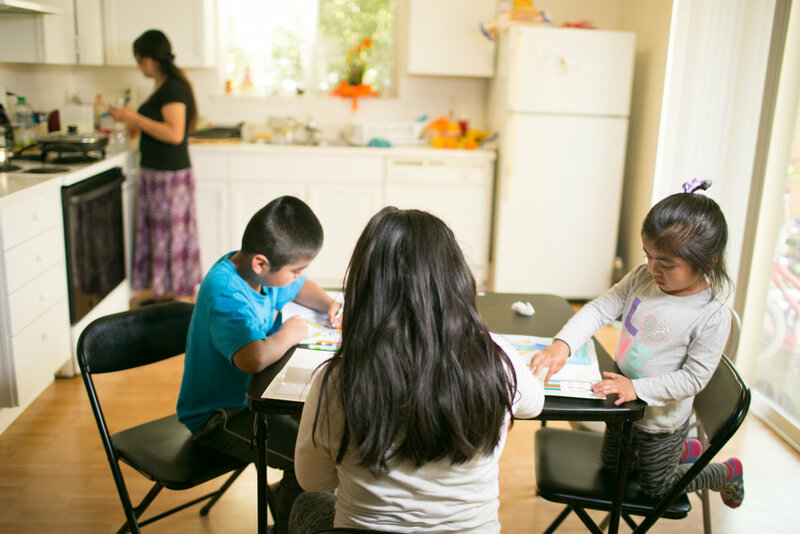 Clients enter Rapid Re-Housing from the First Step Housing or are referred by Sonoma County Coordinated Entry. The goal is to help clients improve their income profiles so they can return to financial independence. Over a nine-month period, clients receive decreasing amounts of short-term rent subsidies as they acclimate to budgeting rent and building self-sufficent habits so they successfully transition to paying market-rate rents. The Reach for Home staff teams with clients to meet important milestones on the road to stable housing. Case Managers create personal action plans, provide living spaces, and teach families and individuals financials skills. While working on their Skills for Life, clients are able to increase income levels so that by the time they reach the end of their stay, they can attain successful housing outcomes.